Custom woodworking often calls for a vast set of skills, especially when built in pieces are involved. Since it is impossible for any one craftsman to become a master of everything, although we try, we have forged alliances with various artists in the area. These affiliations allow us to offer extra services and details in our projects. 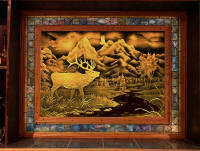 We are happy to work with architects, builders, or other artists to complete their projects as well. Below are links and information about various craftsmen we have worked with in the past, or are involved in our current projects. Please feel free to contact them directly. Services and products provided by our affiliates are solely of their responsibility. Be mesmerized as the pen comes to life in this unique gallery of exquisite calligraphy hand lettering by Master Penmen, Rosemary Buczek of The Gilded Quill. Select prints of her calligraphic artwork and cards are available for purchase. You may also commission Rosemary for your next engagement, event, or unique gift as this hand lettering artist has created an exceptional selection of awards, monograms, invitations, elegant wedding seating charts, hand lettered & illuminated books and more. Rosemary completed an amazing illuminated page for Eric Saperstein's official journeyman papers. Check back soon for a feature presentation of this work of out in our Company Background. 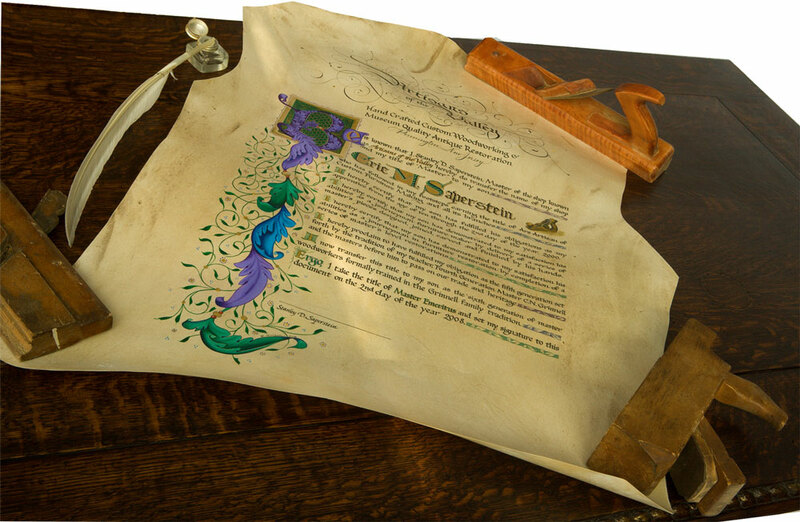 This illuminated page was created on handmade Parchment created by traditional methods. Parchment of this quality is rare today, available only from companies like Pergamena of Montgomery, NY. line of Upholstery & Exotic hide leather. 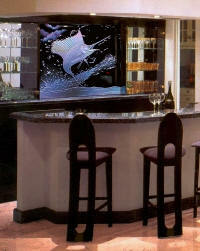 Retail & wholesale, Art frame conservatorship. 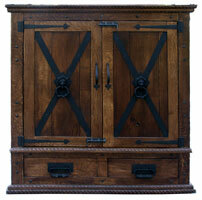 Heath's restoration handles Artisans leatherwork when we require new desktops or other special leather features! Since 1981 the Stearns family has produced classic styled fine quality collectible teddy bears. Never more than a small family business, Stearnsy Bears have earned a reputation for becoming family heirlooms. For 27 years each Stearnsy teddy bear has been hand-crafted and it is still that way today. Today Charles and Vicky Stearns carry on the family tradition. One of the main things that have allows them to stay in business has been their ability to offer something unique to each collector. Although they do the same thing each day, they never turn out the same way. Stearnsy Bears offer a life time of enjoyment. Like all truly artistic works, they are expensive, but worth it. Granny is around 22" tall, fully jointed, and made from premium German mohair. Granny Grace is not some fly by night Teddy but a bear of substance. She now resides in Cindy's "bear room," Eric's old bedroom, and will be a faithful companion and friend as the days go by. A stainless steel bed fit for a rock star. Custom designed, cut, and fabricated by Trenton Sheet metal. 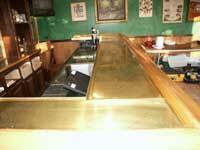 This is Artisans (Eric's) custom brass bar top featuring a drain channel and hand soldered joints. "If you can dream it, we can make it ... since 1912"
"Since 1987, Permanent Reflections has excelled at bringing the finest residential and commercial interiors to life. 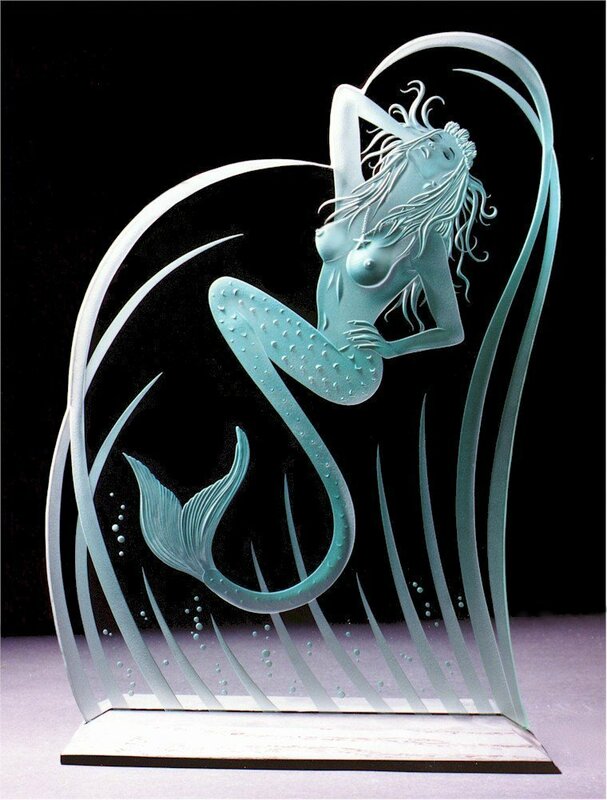 We provide distinctive etched and carved artwork in glass, mirror and stone for the most discriminating designers and art collectors. From architectural applications, furniture, wall hangings and sculpture, we are known for uncompromising integrity and passion for artistic excellence emphasized in every piece, each individually designed for specific interiors." he photos pictured here from the Permanent Reflections Website, see their gallery for lots more amazing pieces. 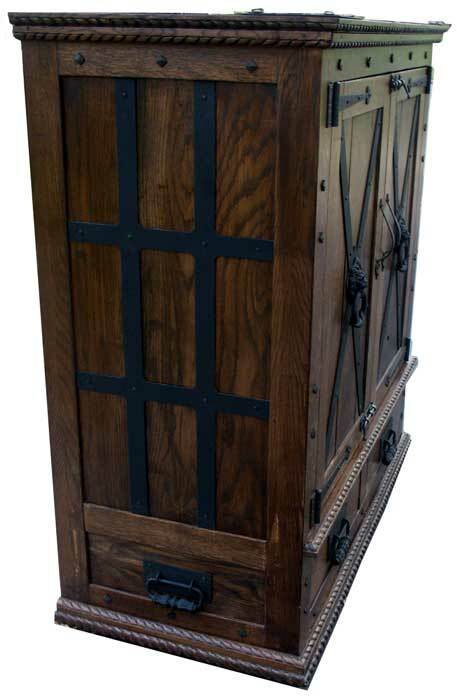 Diversatech recently partnered with Artisans of the Valley to design and fabricate custom grillwork for a New Wave Gothic Entertainment Center. 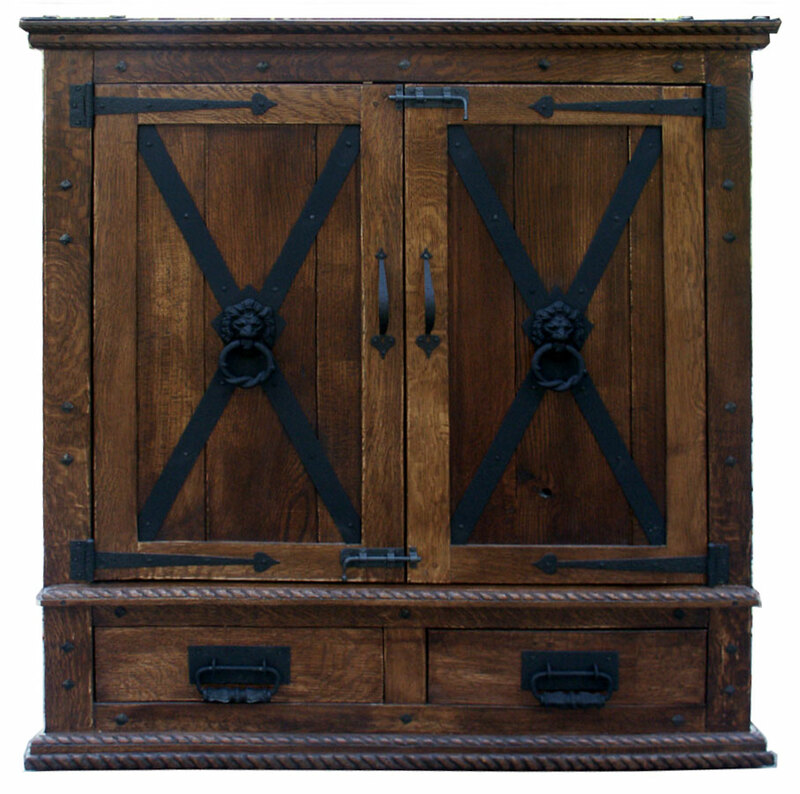 This piece features solid quarter sawn white oak highlighted by black iron style hardware. A perfect example of how interlaced trades create unique and diverse designs. 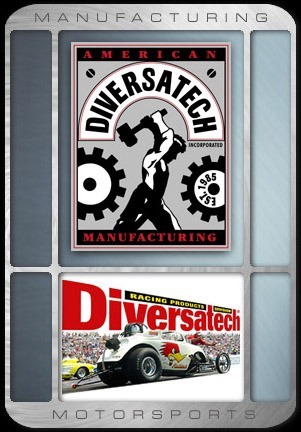 DIVERSATECH, Inc. had it's humble beginnings in 1984 when founder Haskel Zeloof, who was a college industrial arts teacher at the time, accepted an offer to design a product for Scott Paper Company. That first prototype, of a stainless paper towel dispenser, led to orders for large quantities of sheet metal parts that were designed, assembled and packaged in the dining room of Haskel's house in Trenton, NJ. The sheet metal fabrication had to be contracted out, as he had no shop in which to do the work. This proved to be very frustrating, as Haskel's high standards were hard to satisfy in the real world. In 1986, as the volume of orders increased, Haskel quit teaching and rented a 4,000 square foot space which he quickly filled with metal working equipment and eventually a roster of talented craftsmen to do the work to his high standards. Nineteen years and many hundreds of thousands of parts later, Diversatech now operates out of a custom-built, 13,000 square foot, state-of-the art manufacturing facility in Pennington, NJ. Every aspect of precision sheet metal fabrication is carefully and accurately accomplished in-house: from state-of-the art CNC-based punching, bending and milling operations to flawless welding and powder coating processes. Haskel's wife, Beth, runs a parallel business of graphic design and illustration, allowing Diversatech to offer the convenience of "one stop shopping" for product design, development, production and promotion. Will's Medieval Woodworking, or, on more formal occasions, the Master William McNaughton. As you might have guessed, I am active in a medieval re-creation group. My particular escape route is the Society for Creative Anachronism. As a medieval artisan, I have been exploring the various forms of woodcraft as they were practiced in Western Europe, from the late Classical era through the Renaissance. For the past few years, my focus has been 16th-century English joinery, but within you will find notes on Italian, Norse, and German work as well. - The woodworking superstore online! A full array of tools, parts, finishes, plans and other woodworking supplies. Willard Brothers is the premier lumberyard in the Trenton area, specializing in both milling local hardwood, brought in by their tree service division, and importing exotic wood. Willard's has been one of our primary suppliers for over 20 years. Willard's has a fully equip saw mill and kiln drying room. Through their services, we can offer our customs the unique service of completing a commissioned project from a tree on their property. We will be happy to provide required dimensions to the mill operator. They also seem to have a never-ending supply of flitches, turning stock, and high quality rare plywood. Woodworkers Auction: The marketplace for woodworkers to share their exquisite handcrafted creations with home decorators and interior designers looking for unique home furnishings. Custommade.com is a group of custom woodworkers of various sorts throughout the country combining within one search engine to draw specific traffic to their websites. Hand made isn't dead yet in America - check out this site for a variety of crafts made in American homes by American hands. Their motto:"American Hands creating products for Today's Enjoyment and Tomorrow's Keepsakes"
Links to a variety of woodworking sites around the US. 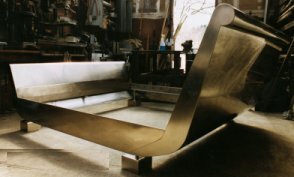 Woodworking-Online.com is a collection of information and links focusing on every aspect of woodworking. Robert, Stanley's brother, specializes in stained glass works. 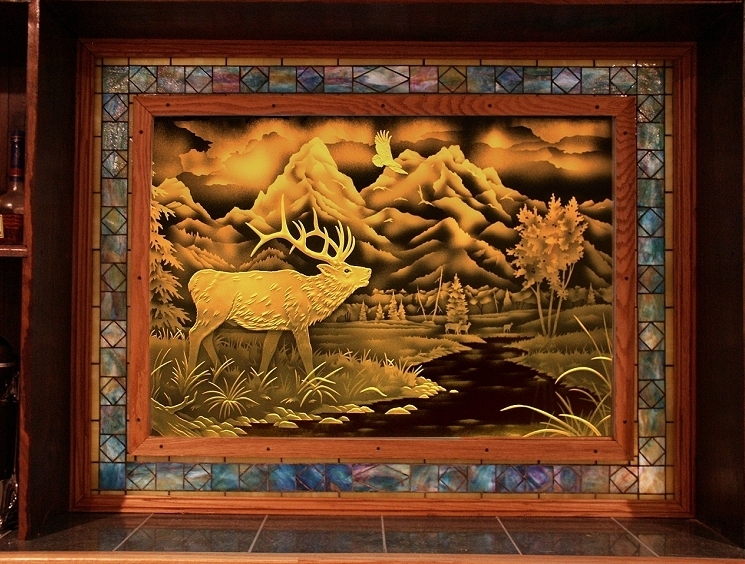 He has completed hundreds of jobs ranging from Tiffany reproductions to mirrors to church windows. A meticulous expert in his trade, he doesn't work fast, but his pieces near or exceed perfection. Robert is available for exclusive commissions, and may be subcontracted for our projects that require glasswork. Please contact Robert through Artisans. Examples of his work will be available soon! Characteristic of traditional form and craftsmanship, our handcrafted copper range hoods assure an elevated visual appreciation of your kitchen and home. Created to accompany your kitchen design; the natural elegance and charm that our copper hoods illustrate, adds warmth and energy to your living space. 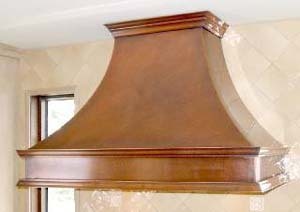 Great kitchens are designed with comfort, functionality, individuality and style; so are our handcrafted copper hoods. 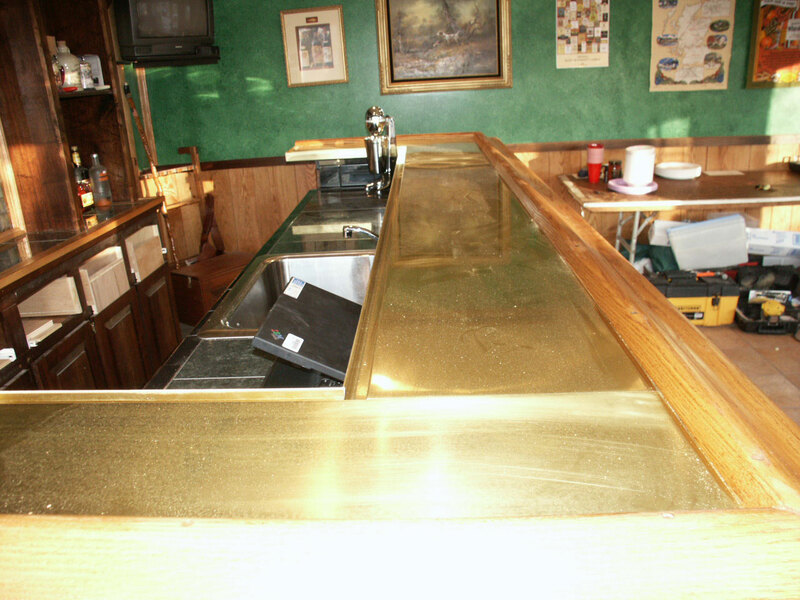 Specializing in copper & brass hanging pot racks, wall pot racks, copper range hoods, back splashes & copper tiles, copper gazing ball stands, water fountains, copper & brass rain chains and other garden art, we can also cater to our customers who would like copper or brass custom design! 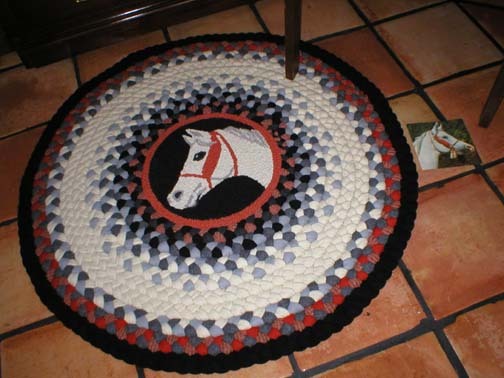 Kathy's Braided Rugs is a small family owned business dedicated to providing our customers with the highest quality braided rugs and accessories at a competitive price. 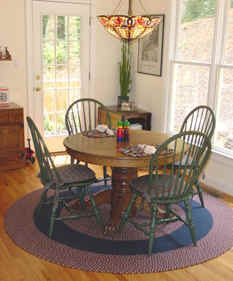 Our intent with this web site is to provide potential customers with knowledge about braided rugs and a medium by which they can contact us. Heirloom quality ... Handmade of 100% new wool all Custom made...Your choice of size, style, scenes, and colors & reversible! Find news, information, services and resources of antiques, collectibles, glass, pottery, stamps, coins, toys, and more. Started in 2003 this site has been built as to be leader in the art e-business market. Now, it is hold by company 'Internet Technology Architecture and Development LLC' (InterTAD) formed in Delaware. Our mission is to provide a best place for global trading of all kind of artwork where practically any person can trade any masterpiece of art around the globe. Check out www.twistedtimber.net for some very unique and intricate wood turnings. 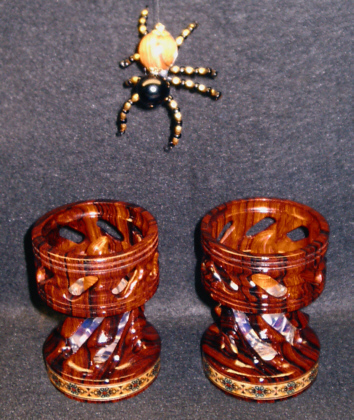 This website is devoted to Craftsman Router Crafter ornamental wood turners. I think the Craftsman Router Crafter is the cheapest and best ornamental woodturning lathe. With some accessories the Craftsman Router Crafter can do incredible twist work in novelties and staircase parts such as balusters and newel posts. You can make impressive hollow spiral novelties and stairwell parts in your spare time if you own or can get a Craftsman Router Crafter from eBay or other auction websites. 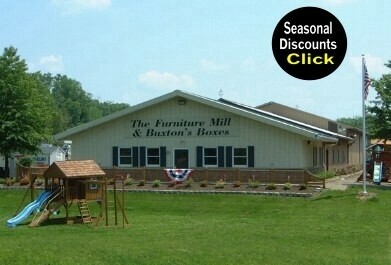 Use the keyword 'Craftsman Router Crafter' when searching these auction websites. If you're lucky you may find one at a yard sale. Visit my 'how to' link and see how I do hollow spirals on useful novelties, balusters and newel posts. Your custom made balusters will be a one of a kind eye catching project that will be the envy of those who see them. It's a rare and enjoyable hobby. 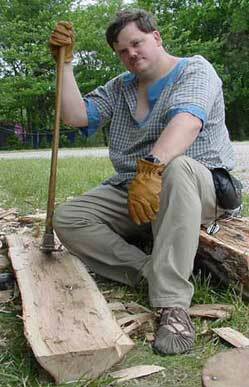 Begin your ornamental woodturning experience with a review of this website. The Bear Paw Quilt Co. was established January 2002 in downtown Flora Illinois. What started out to be a hobby (the love of quilting) has now grown into 5 day per week life fulfillment, which is being able to pass along the art and love of quilting. Bear Paw has expanded three times since we started in 2002, now fill three buildings with over 10,000 bolts of quilting and novelty fabric. As well as a great selection of sewing related gifts. Browse the Craftgate.com data base of great craft related websites across the Internet. Read craft business articles with the latest news from craft supply manufacturers, industry leaders and professional designers on new craft supplies, tips, techniques and designs for all fields of crafting. Amateur or professional here is all the info you need about wood working.